There aren’t very many little girls in the family, so it is exciting for my aunt to have a granddaughter on the way. This is my way to send good wishes for a healthy baby girl. My mom wanted to give a quilt for the shower, so we got to work. 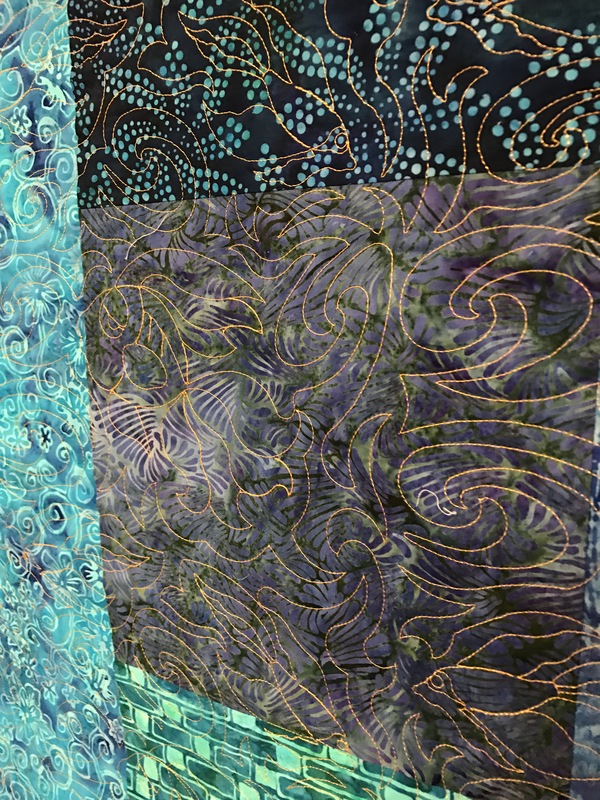 I found this fabric during a random stop to a local quilt shop, Harper’s Fabric and Quilt Co.. The backing came from a quilt shop near my mom, call Prairie Point Quilt & Fabric Shop. It is from the Moda, Basic Grey fabric line, Mon Ami. This is a little funny, since I found out that in french, “Ami” is the masculine version of friend! Oh well. I loved the grey raindrop fabric, and picked up a charm pack to create the tumblers in the center. My mother and I pieced the top together using our own layout. I like how the tumbler border gave the little quilt a feminine touch. 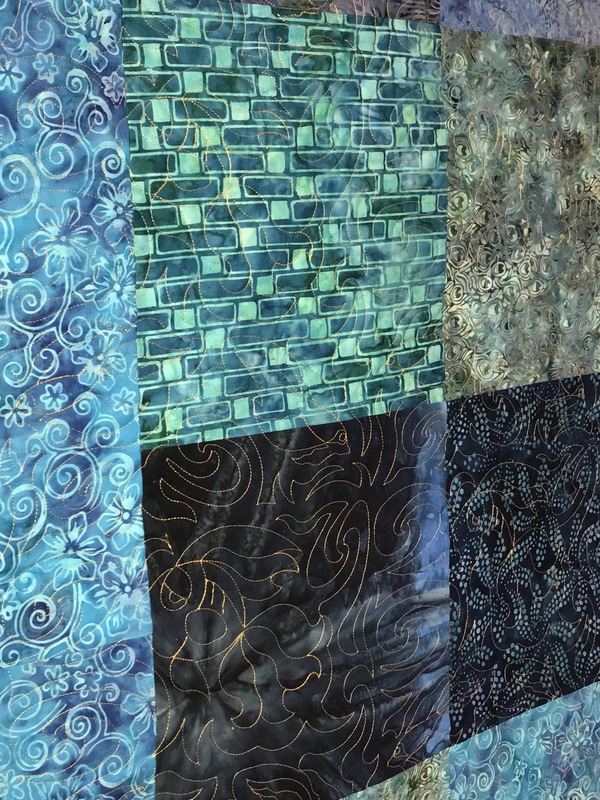 The quilting is a pattern called “Rain Drops” by Brandon Smythe of Intelligent Quilting. 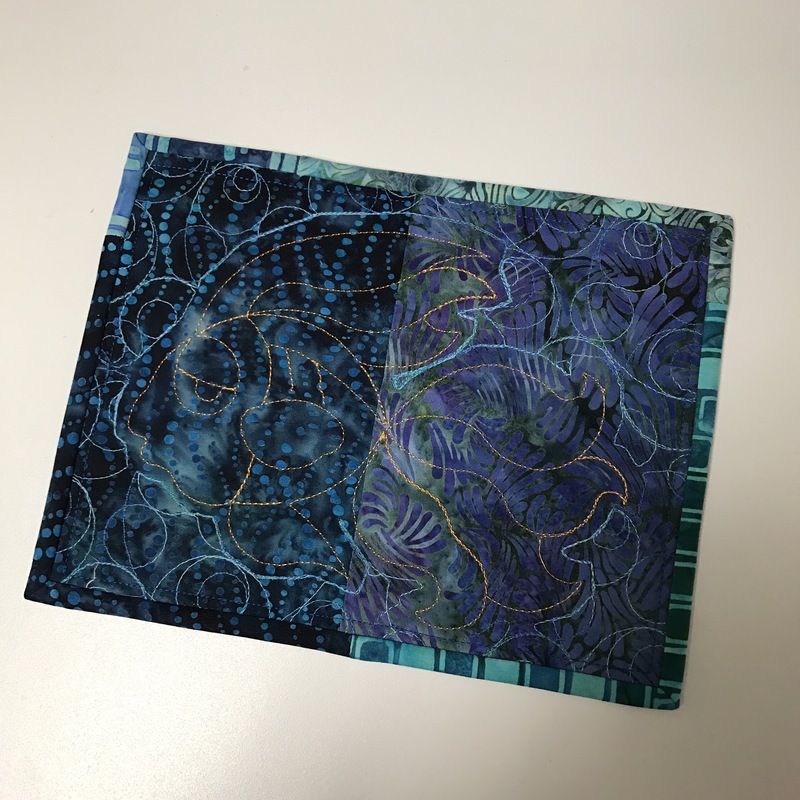 I used blue variegated thread to give the pattern more depth. It is a simple quilt, but I think will work well as “A Little Sprinkle” of good wishes for my cousin and his wife. Since I was the only one in my household up earlier this morning, when my mom texted me and said, “Do you still want to go out to the quilt shops?”, I didn’t have to think twice. Lets go! 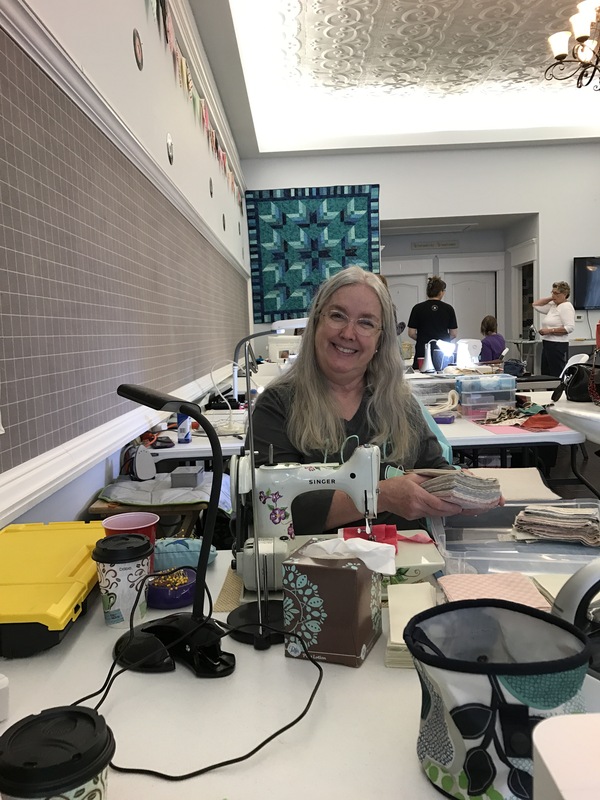 We visited two of our local quilt shops, Harper’s Fabrics and Quilted Memories, took in the scents of Penzy’s Spices and then finished off at the Overland Park Farmer’s Market. My family will enjoy the lovely cinnamon rolls I brought home for a treat. I was mostly good, but picked up a stack of solids for my latest kid quilt, Minecraft, and one of the rows from this years row-by-row. 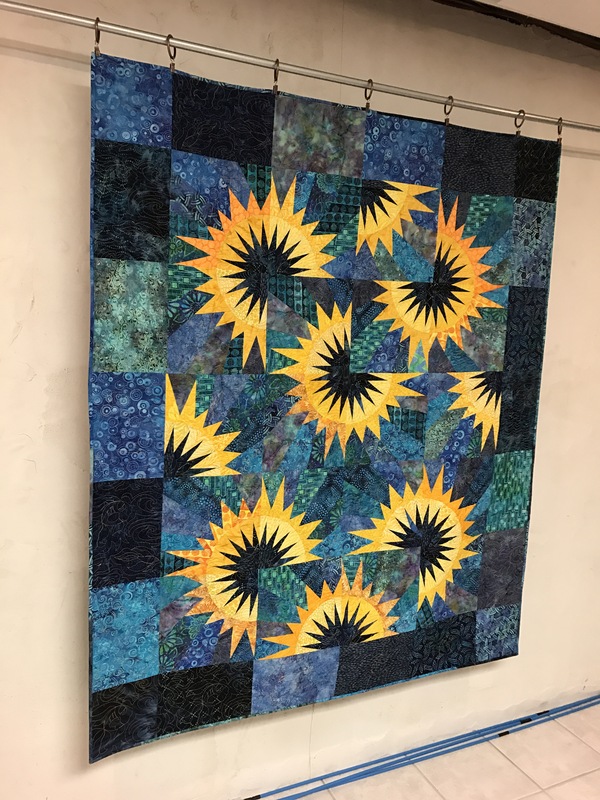 I thought Quilted Memories lemonade row might make a fun summer wall hanging. Some projects have a way of blossoming. I started this quilt as a small scrappy lap quilt from some of my grandmothers stash. However, my dad visited while I was working on it and commented that it should be Queen size… Then he brought me a book of celtic knots for “inspiration” and made me a quilt ladder, complete with celtic knots and dragons for my birthday! 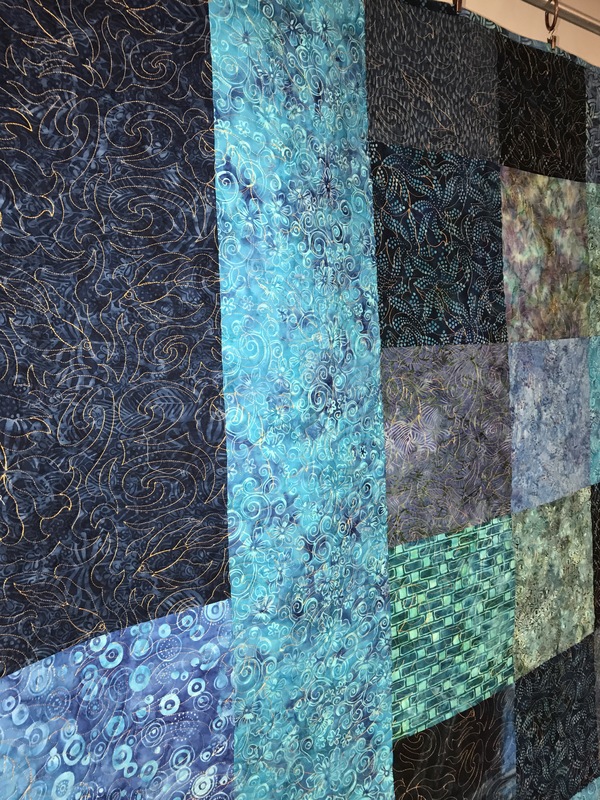 SO, I made a queen size quilt, complete with quaternary knots, known for their luck! The quilt has double batting, cotton on the bottom, wool on top, to help the knots “pop”. I’m such a lucky kid to have a great dad! Happy Birthday Dad! This September I attended the MSQC fall forum retreat. There were over 40 ladies and gentlemen in attendance. 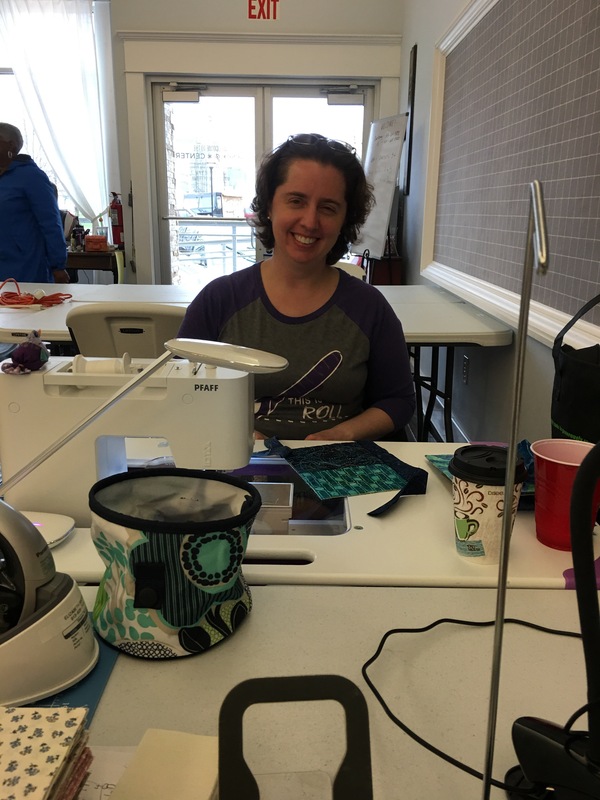 We enjoyed socializing and sewing in the beautiful retreat center space and partied at the companies 7th Birthday Bash events. An extra bonus was the JCPenney’s day festival that coincided with all of the events. I enjoyed meeting many new people. Some did demos and most everyone had created special custom favors to share with their new friends. One of my contributions was a portable design wall for everyone that contained the triangles needed to create traditional pinwheel blocks. The design wall was inspired by the UFO to GO at the Riley Blake Designs site. 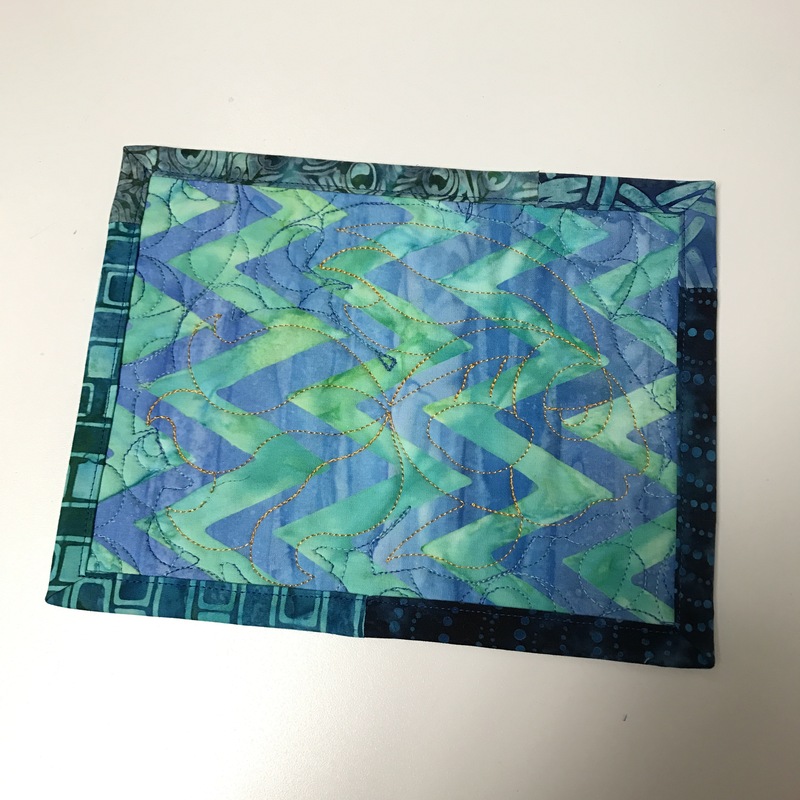 The half square triangles for this block were cut from vintage stash using a Sizzix Bigz die. Sashing was added as a design element to separate the triangles spinning in opposite directions. I named the quilt based on a poem that I found online. It felt fitting for the event and final destination of the quilt. This quilt will be gifted to a homeless shelter and I am sure it will be cherished. Thanks for everyone’s participation! It turned out soft and beautiful. If you can believe what is on the internet (ever) then you might know that the log cabin quilt dates back further than the pioneer days in the United States. 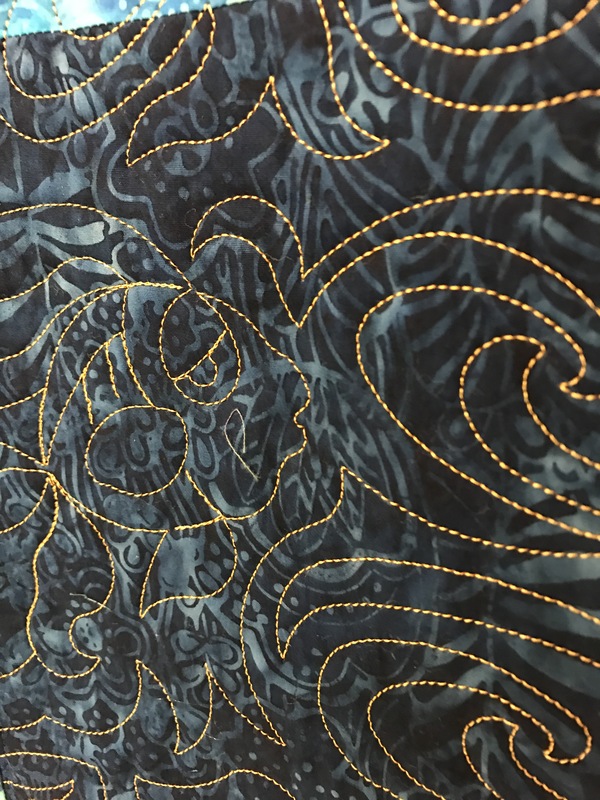 Supposedly, similar designs were found on an ancient Egyptian mummy and in an English quilt predating 1830! While that is all fine and good, the design makes me think of the pioneer spirit and workmanship and bravery of those who rebuilt their lives in new territories. I would like nothing more than to built myself a log cabin home as a retreat (complete with a real floor and AC). I’m afraid I would be left sleeping on top of my sewing tables! 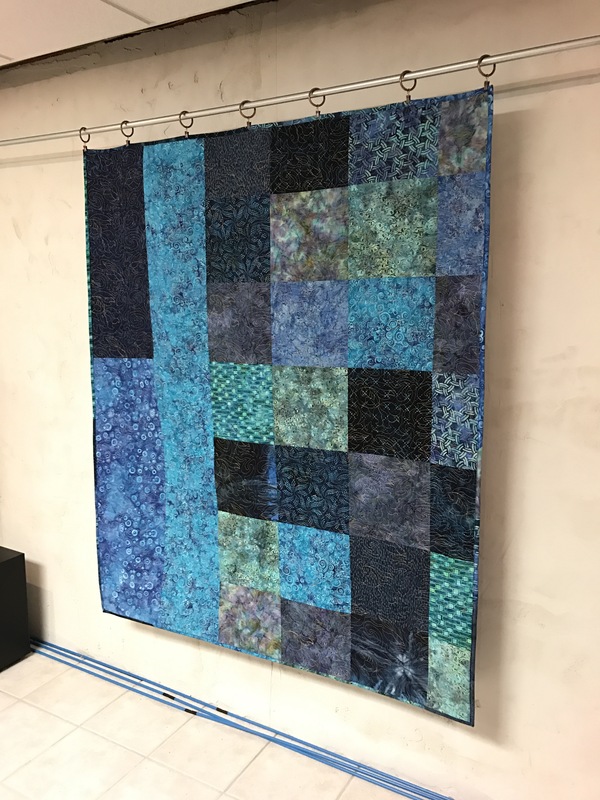 I really liked making this block, and may need to build an entire quilt like it. The only “trick” to the completion was the tapered 1/4″ curve to finish the curved center. 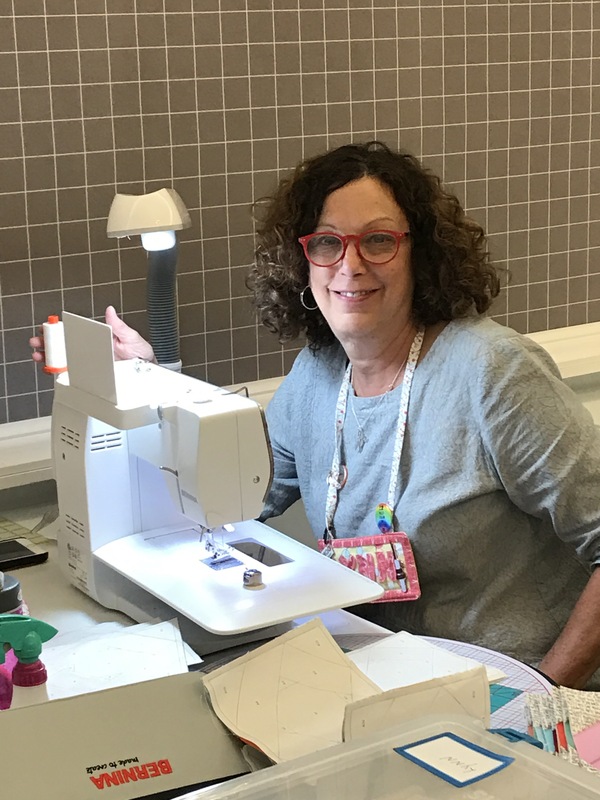 Start your seam 1 3/4″ down on your curve and taper your seam to the normal 1/4″ seam allowance. Taper back down on the other side. It took me a couple of tries to get it right, but mistakes were easily corrected. Update (11/2016): I recently received a bunch of inquiries regarding the pattern for this block. It is part of the Sew Kind of Wonderful, Curve it Up, pattern. It is not free. I think a link to my site was listed under free patterns somewhere incorrectly. I hope this clears up some confusion. Row By Row – Amazing Map of Participating Quilt Shops! I was browsing the MSQC blog, and they had a great posting about the “Row by Row” experience. 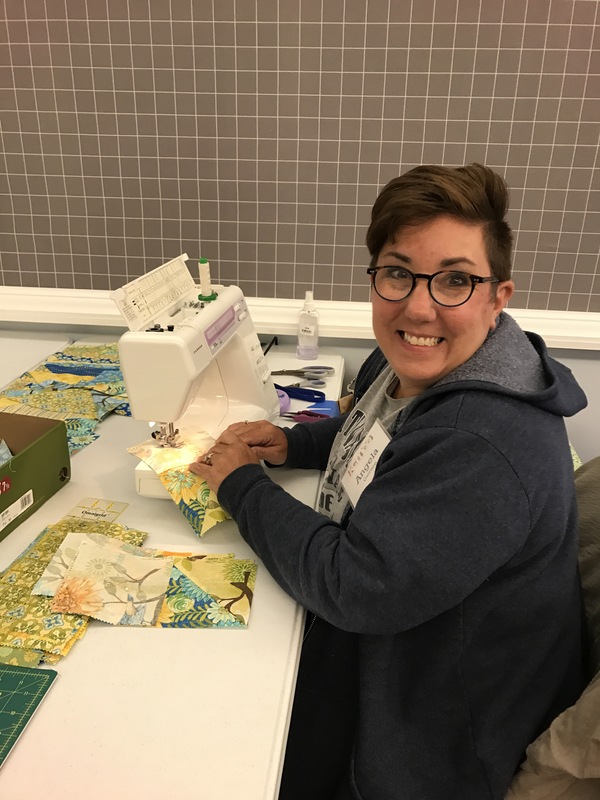 I saw some of the “plates” at the Kansas City Regional Quilt Festival this weekend, but didn’t know what the program was all about. Yes I know, where have I been?? Anyhow, check out this link of participating shops. 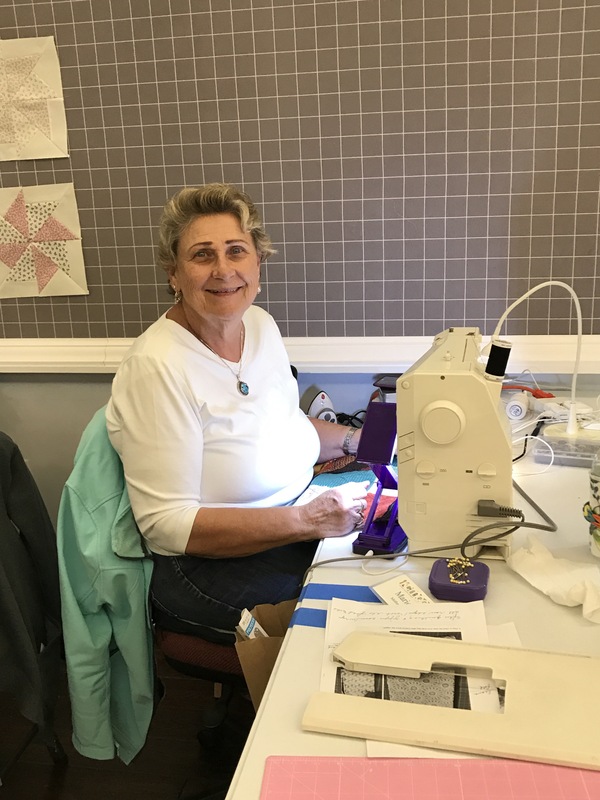 It is fun even if only to see all the quilt shop locations across America!